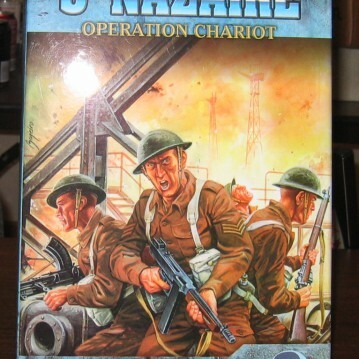 St. Nazaire: Operation Chariot (SNOC) represents a new departure for Le Franc Tireur, as it is that company’s first full historical module. Indeed, not only is it a complete historical module, but it is also the only third party ASL module ever published with a box (the other being Critical Hit’s Dien Bien Phu). 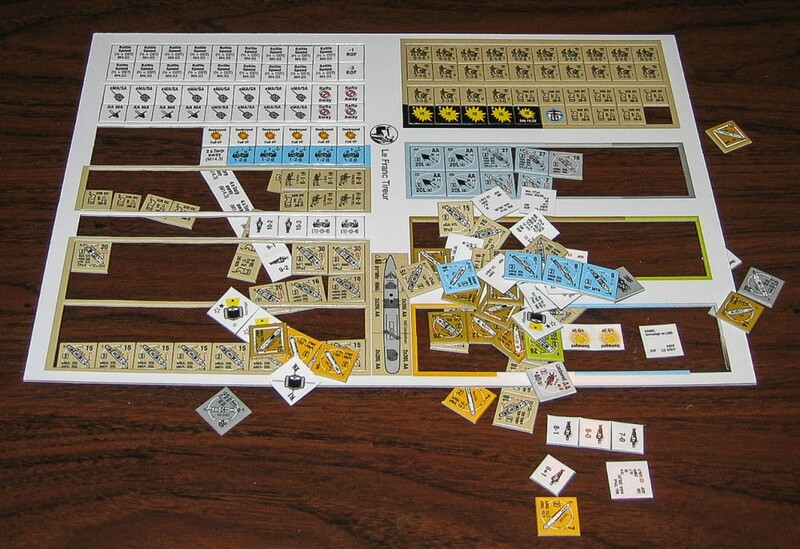 SNOC includes a lot of high-quality, glossy components, from counters to maps to scenario cards and rules, but it all comes at a cost: SNOC goes for the pricey amount of $80 (US), which is a lot to pay for a third party product (especially if you have to order it direct, and also pay shipping). While LFT is a French company, SNOC was designed by an American, Andrew Hershey. Essentially, this is a two-headed module. 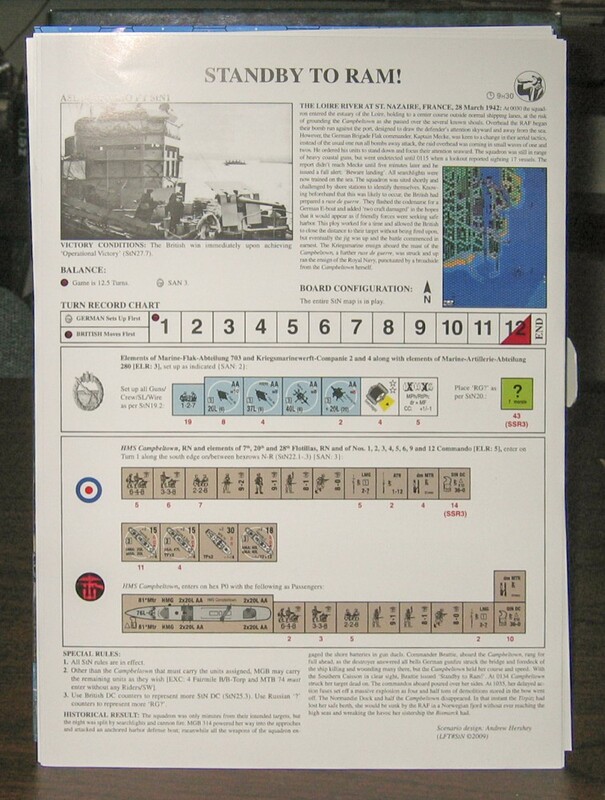 Half of the module deals with the famous British commando raid on St. Nazaire, France, in March 1942. The other half, however, (in which Steven Swann was also involved) deals more generally with “motor gun boat” (MGB) operations in World War II, MGB being the term used by Hershey and Swann to describe small, fast armed craft like American PT boats. The components are generally high quality. The full-color scenario cards are very nice (although the colors are not always consistent from card to card) and the full-color charts and play aids are also very well done. 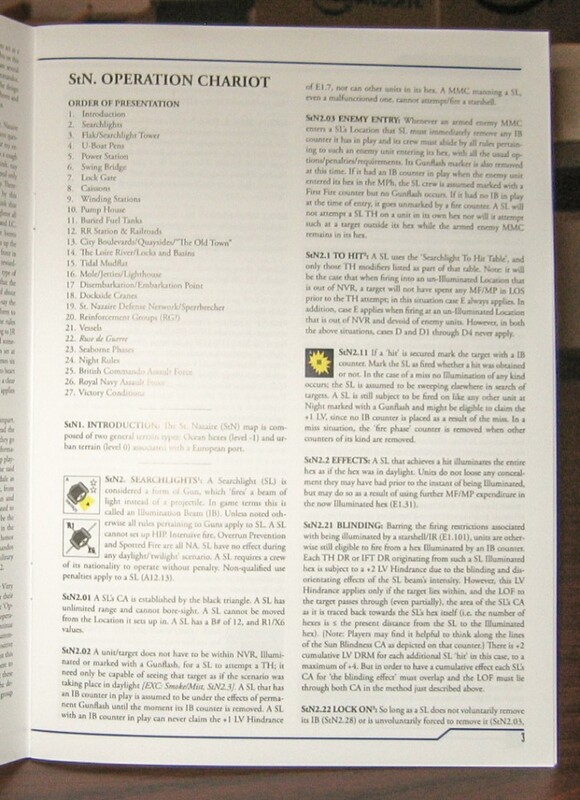 The full color rulebook is also attractive and clear. The counters are very attractive and very professionally done. In terms of quality, they are the equal of “official” ASL counters (although they seem ever-so-slightly thinner). 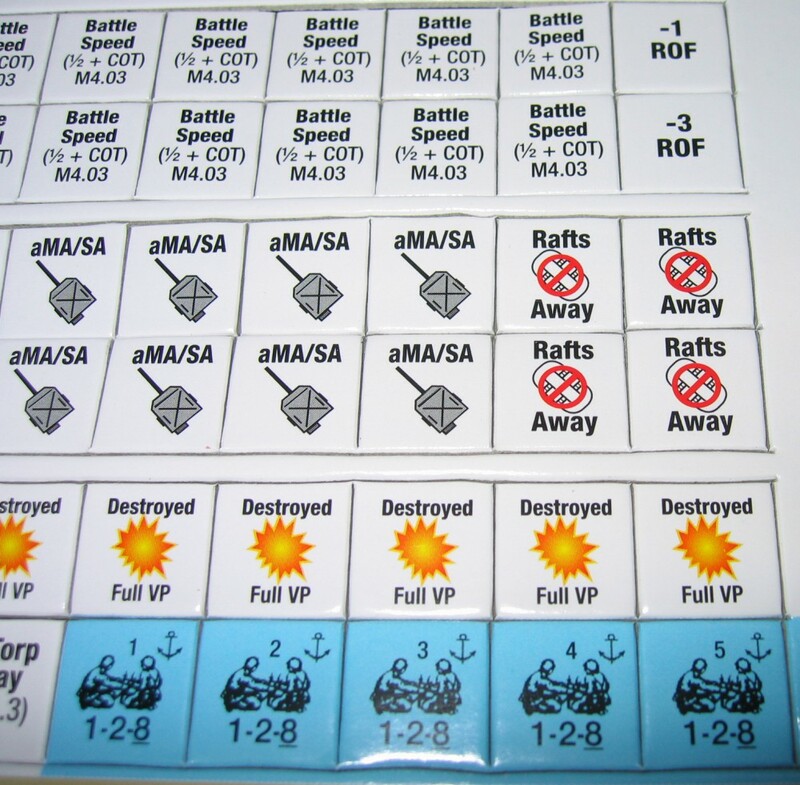 However, the die-cutting on the countersheet that comes with the game is too deep (this problem also occurred with From the Cellar 3), which means that by the time you receive your copy, many (if not most) of the counters will already have fallen off the counter tree (for this reason, LFT puts each countersheet inside an envelope, so that no counters will get lost). This can pose problems in terms of lost counters (or even knowing if you have all the counters or if there are any missing). 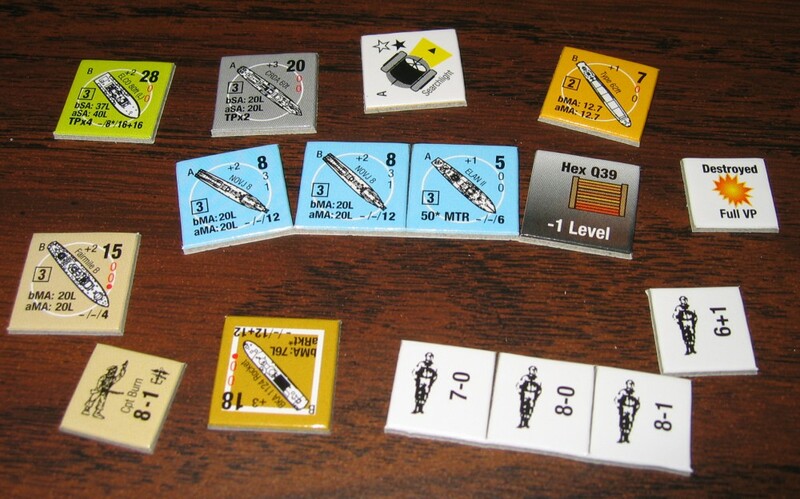 Most of the counters represent various MGB or other informational counters needed for SNOC. 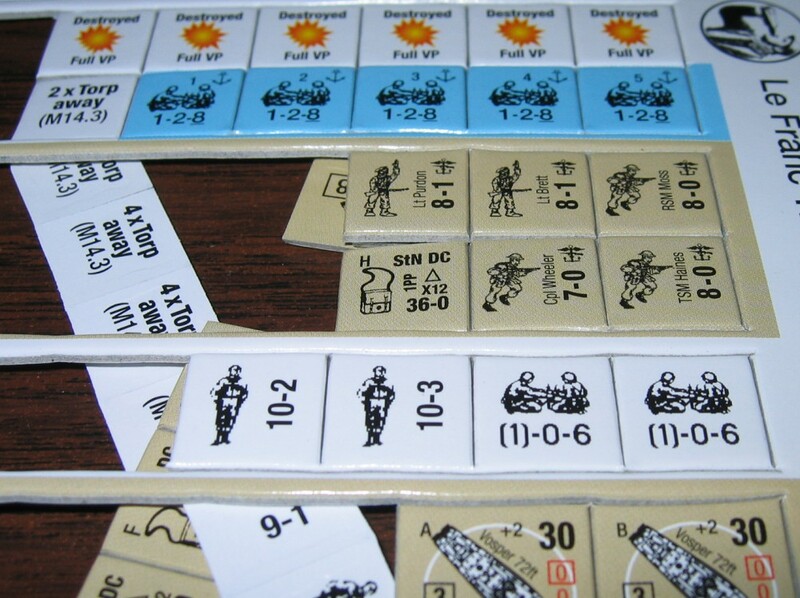 There are also some counters representing the British Commandos and their SW, as well as a handful of German counters. 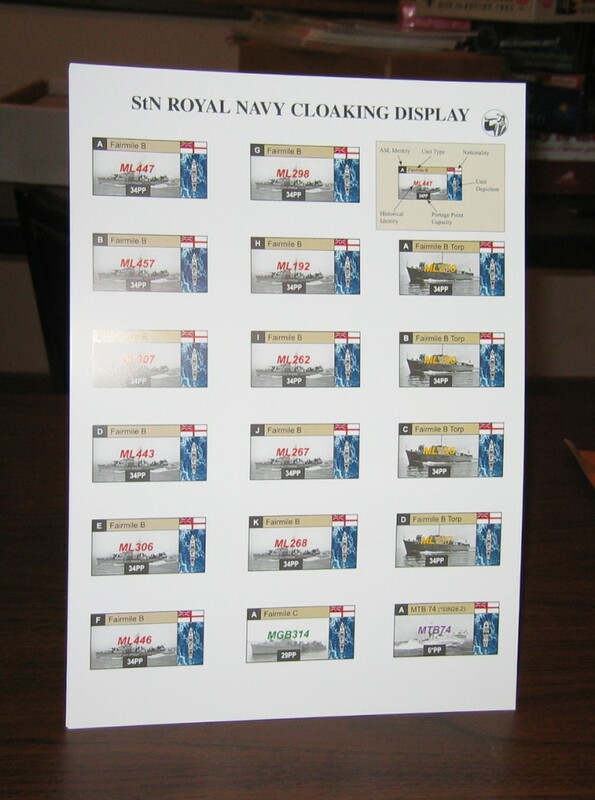 One counter is a special “giant” counter to represent the HMS Campbeltown; however, this counter is not die-cut but must be cut out with a razor or exacto knife. SNOC comes with 2 large color historical maps, each approximately 24″ x 34″, which represent St. Nazaire, its harbor, and the surrounding ocean. The maps are very detailed, and appear clear and concise, but their computer generated nature makes them seem rather sterile–there are not even any natural textures employed to make map items a bit more naturalistic or realistic (as has been the case in recent LFT maps and overlays). The maps are perfectly serviceable and functional, but they just give off something of an artificial vibe. This is the sort of thing that many ASLers will not only not be bothered by, but might not even notice in the first place. But some might wish for a bit less “computery” map. On an entirely different note, it is clear that the terrain on the map poses some interesting tactical challenges in spots. It is important for people to realize that this module is an advanced Advanced Squad Leader module. This module is not for the fainthearted. 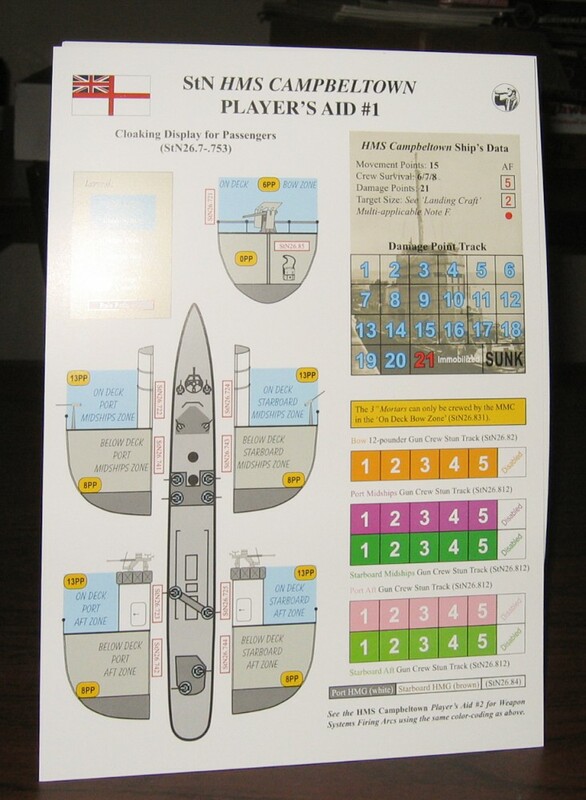 It contains a lot of rules, and understanding these rules is necessary, especially for the St. Nazaire scenarios. 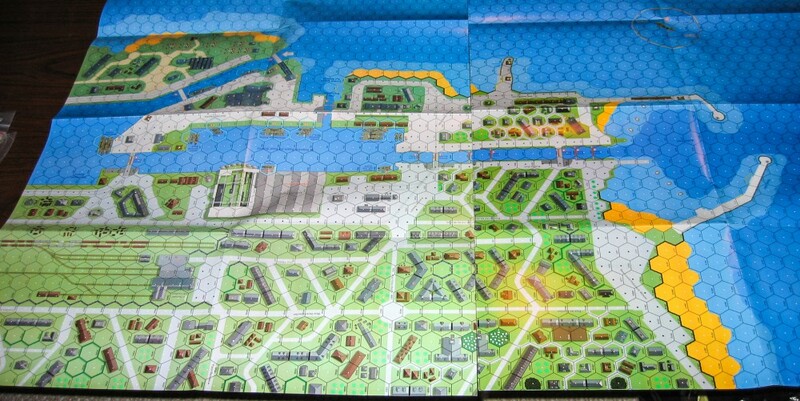 The 48 page rulebook contains 17 pages of rules that deal with the St. Nazaire scenarios, the majority of which deal with new terrain. 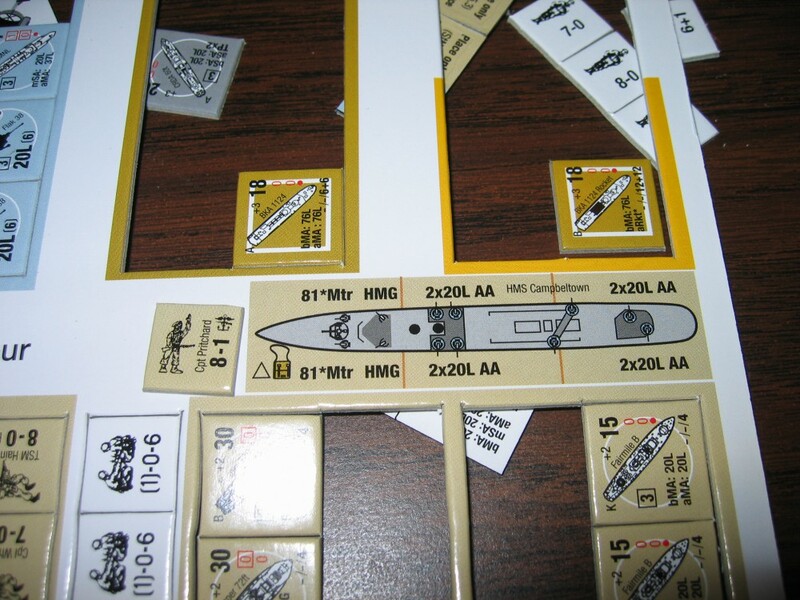 Other St. Nazaire rules govern the seaborne assault, the British Commando force, and the HMS Campbeltown. 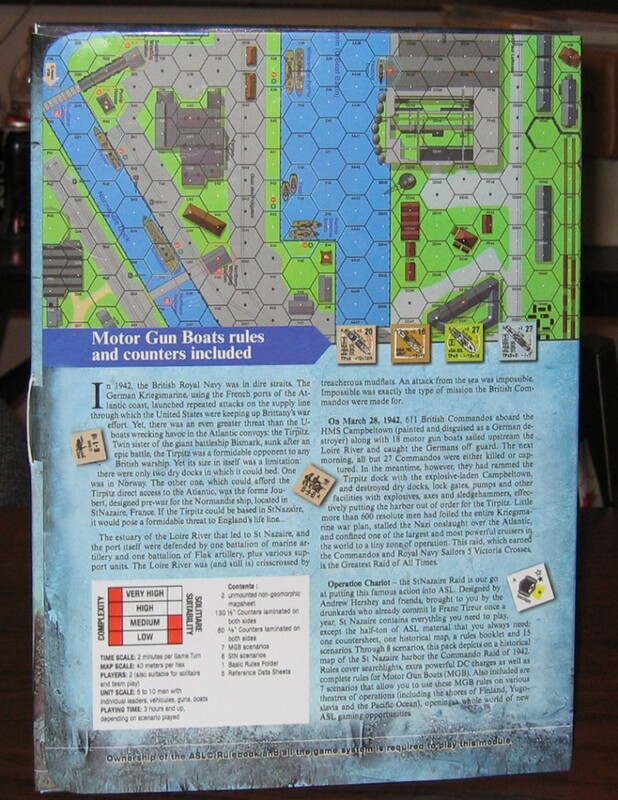 Another 12 pages contain the rules for Motor Gun Boats and their operation. The final section contains MGB “Chapter H” material. There is no getting around that these are a lot of rules to absorb–and players must also be familiar with Night rules, landing craft, and other arcane aspects of the standard ASL rules. This is not a module for beginners. Clearly the audience that will most be excited about the module are those people who are particularly fascinated by commando-type “special ops” in World War II. 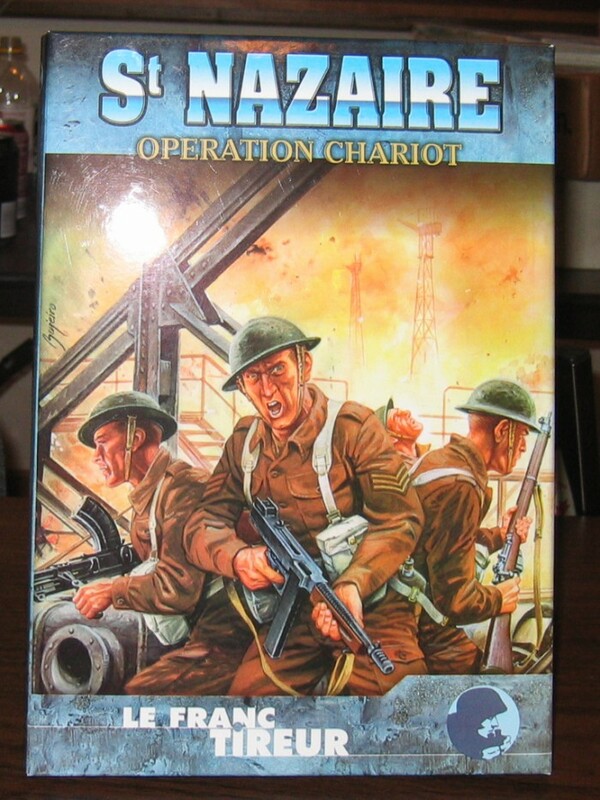 Given the relatively brief nature of the St. Nazaire raid, there is no campaign game in this historical module. Rather, 7 scenarios depict major parts of the action, while 1 large scenario, StN1 (Standby to Ram!) basically contains the whole raid, soup to nuts. 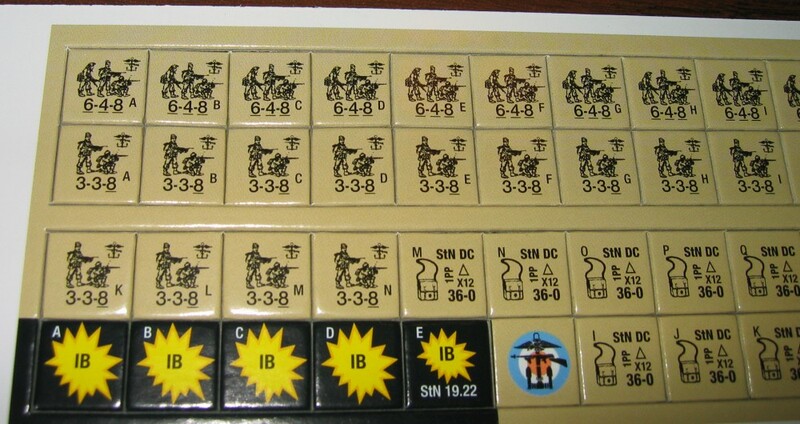 Players will quickly discover that some of the scenarios may have odd dynamics or provide unusual experiences, because in most of the scenarios the German OB is represented by various crews of AA weapons and a host of SASL-style “reinforcement groups,” which are potential German forces that, when encountered, may end up being nothing or may be one of a variety of types of counters. This adds a great deal of uncertainty (for both players). 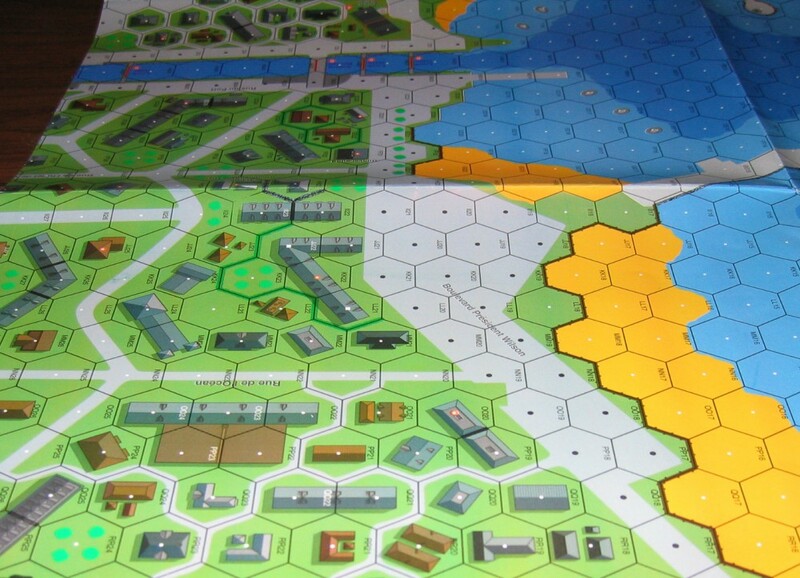 It also makes many of the scenarios more replayable than usual, as the exact composition of German forces could easily vary quite a bit from playing to playing. 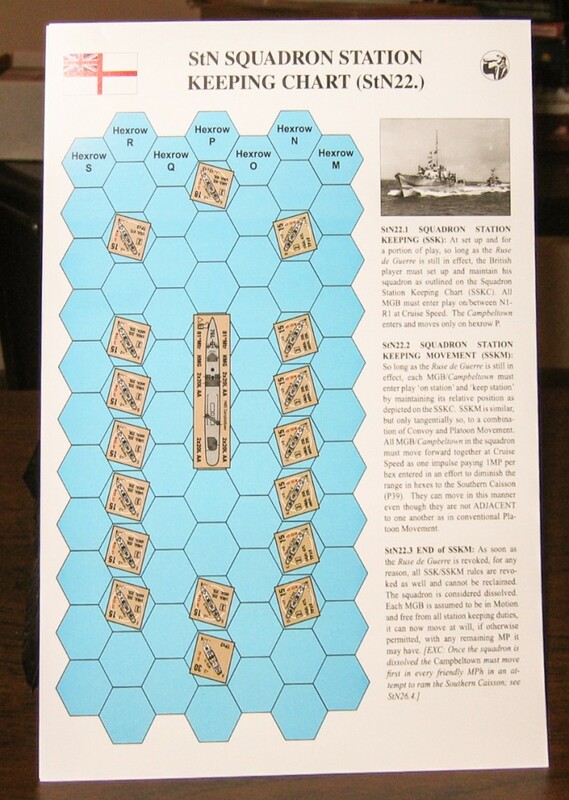 Because of the nature of the action, many of the scenarios are pretty small in size. 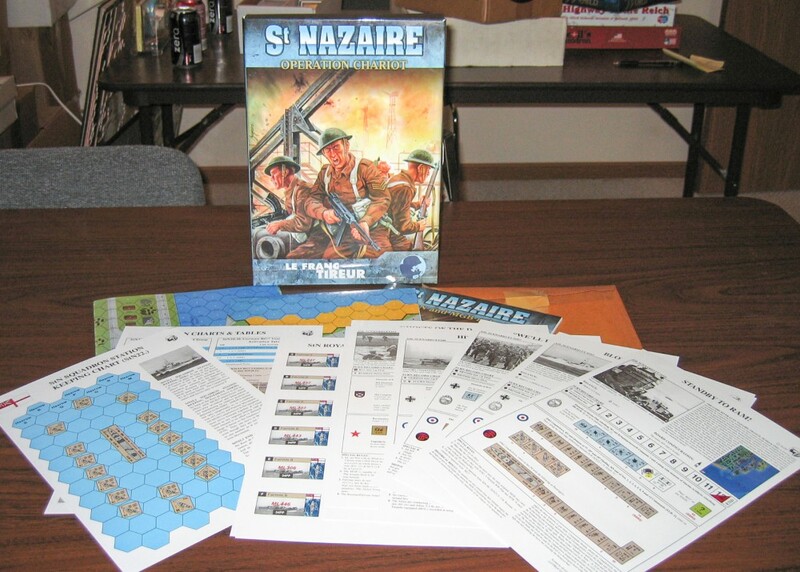 In addition to the scenarios related to the St. Nazaire raid, SNOC also comes with a second group of scenarios that depict MGB-related raids and landings from around the war. There are 7 such scenarios, representing Norwegian/British vs. Germans (Norway 1943), USMC Americans vs. Japanese (Solomon Islands 1943), Soviets/Yugoslav Partisans vs. ROA (Russian Army of Liberation) troops (Yugoslavia 1944), Soviets vs. Germans (USSR 1942, Yugoslavia 1944, Finland 1944), and British/Americans vs. Germans (France 1942). 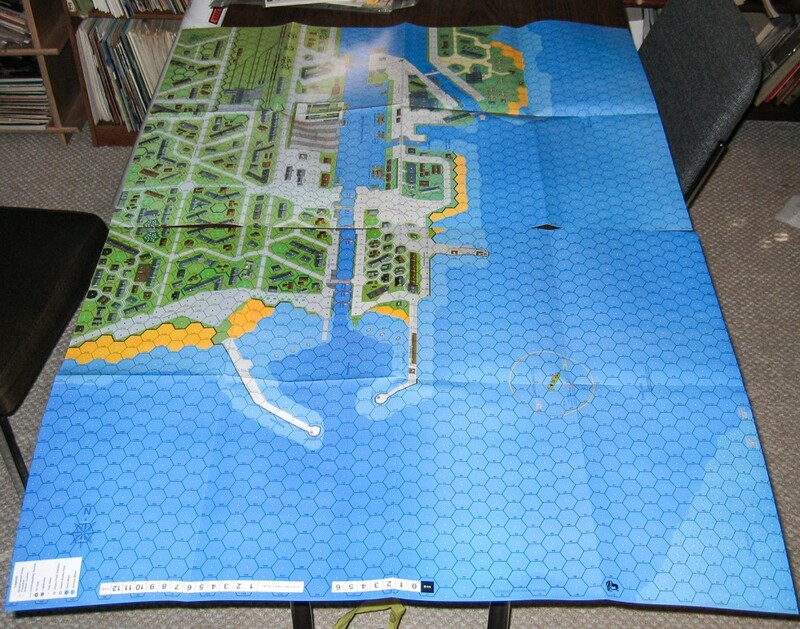 Two of the scenarios, FT110 (PT-109) and FT115 (Nearly Entombed), uses the LFT1 geomorphic map that appeared in LFT#11. Most of these scenarios are smallish and seem as if they would be fast playing. Not surprisingly, Night Rules are used in a number of them. The bottom line is that this module is not for everyone (as the lack of ROAR reports confirms). It is expensive, has an obscure and specialized topic, and is complicated. That will limit its audience. 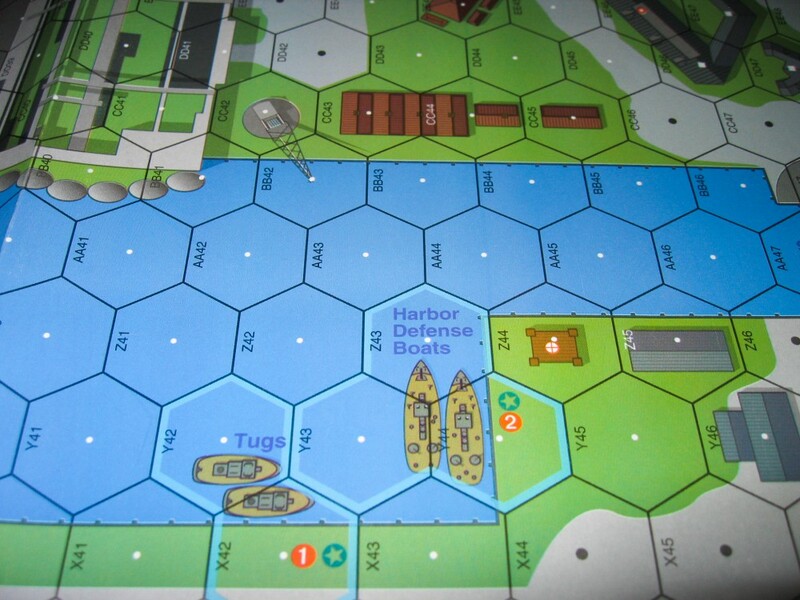 However, for those people who are interested in Commando raids, special forces, amphibious landings, and the like, this is a real gold mine, offering a variety of situations and scenarios, and very high quality components. If you feel like you might belong to this second group, and are willing to invest the time and energy in learning these new rules, this would seem like a must-buy product.